Nulli Titan Reimbursed, Soul Taker Pilot Banned! 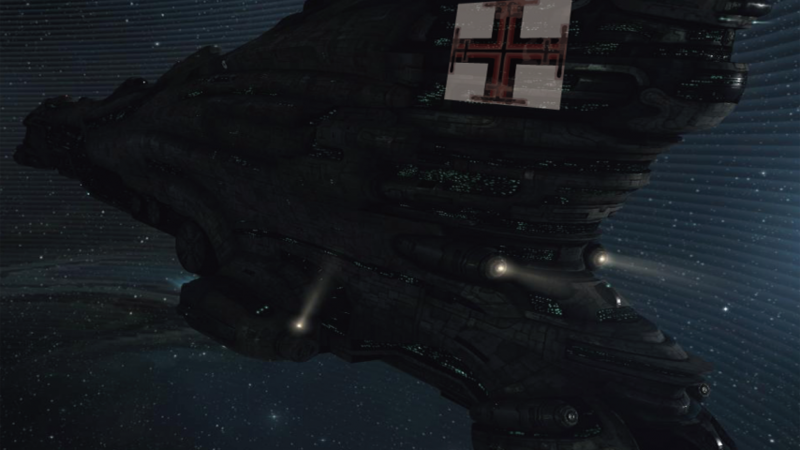 It emerged last night that the Erebus of Ved Speed, member of Nulli Secunda, killed last week by Shadow Cartel after being bumped out of his POS shields by Soul Takers has been reimbursed by CCP and that one of the Soul Taker pilots, Aglon, has been banned. In the early morning of 13th September 2014, Soul Takers noticed the Titan with its nose hanging out of his POS. Thinking that they could bump the Titan out of the POS because of this, they jumped into 100MN microwarpdrive Tornados and commenced bumping the AFK Titan out of his POS exposing more and more of his Titan. When he was completely out of the force field Soul Takers called in the heavy hitters of Shadow Cartel and destroyed said Titan. Here is a picture, taken before the bumping occurred that clearly shows that a portion of the Erebus was indeed exposed and doing 0ms. Bumping ships, that are located within password protected starbase force-fields, out of the force-field from outside without having the correct password or corporation/alliance permissions as configured in the tower settings, is considered an exploit. 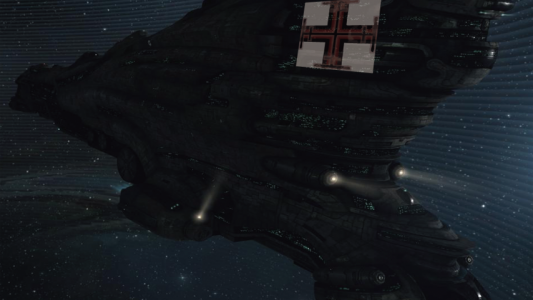 Attempts to bypass the game mechanics of starbase force-fields are fully visible in server logs to CCP Games’ staff and will result in appropriate action taken against the involved user accounts as per the EVE Online Suspension and Ban Policy from here on. So the question is, how far into the POS shield does a ship have to be, to be covered by this rule? If it is legitimately bumpable by someone outside and by not having to enter the force field, should this then be considered an exploit and a bannable offence? Does this rule consider any ship that can not be interacted by persons on the outside of the POS (IE locking etc) within the force field? CCP needs to clarify this rule. The simple question is, Is this titan fair game to bump? The nose is clearly out of the POS and doing 0ms. If there is a rule about ships out of shields, I would like to see it. This way we all have a better understanding of what the CCP rules are (for today) on this issue. The player was notified that if the ship is not lockable then it is in the POS. Can someone please show me the rule, post, etc. that states this? I checked my Titan before going onto my other screen, onto my main. I believe it was totally in the POS shield when I left it and this is the opinion of CCP. I am very happy to have my Titan back. Wow! I think that is severe. I think a timed ban would of been more than enough as it is not a rule that is expressly described by the EULA. I think you should implore CCP to get the ban reduced. I am sorry that this has happened to the pilot from Soul Takers and if I can do anything to help please contact me at any time. I am astounded at the apparent laziness inherent in this ban. Many ships have been killed in this way, I was involved in the kill of one myself – a lev sticking out of a small tower that we bumped with 100mn tornados so hard that it popped out of the other side. When this happened there was no outcry of exploit, just amusement at the circumstances of the kill, the victim in particular was completely fine with the outcome, bumping like this has long been regarded as fair play. With this ban I would like to know if CCP is saying that you now cannot bump anything that is next to a forcefield – what is the criteria? If the ship is making the smallest contact with the force field am I not allowed to bump it? What about if it’s further in but i’m still able to lock it? What if i’m damped and so don’t know if I can lock it or not? Or what if i can’t lock it due to the centre of the model being inside (and i’m not damped so i know this) am I not allowed to smack into the ship? This ban sets a crazy and frankly difficult to enforce precedent, any titan that dies near a pos can basically claim it was inside the shield and apparently be reimbursed. I understand fully why lighting a cyno and jumping in 30+ titans to ensure some of them bump into a shield and bump a completely safe titan out, if classified as an exploit, – you can’t defend from this. However simply not having half of your titans arse sticking out of a shield, you can defend from. I don’t feel taking advantage of someones foolishness in this case should be classed as an exploit and it certainly should not warrant a permanent ban. As W0wbagger mentioned in his statement, this is not the first time a Titan has been bumped out of a POS because it is part way out and thus collidable. 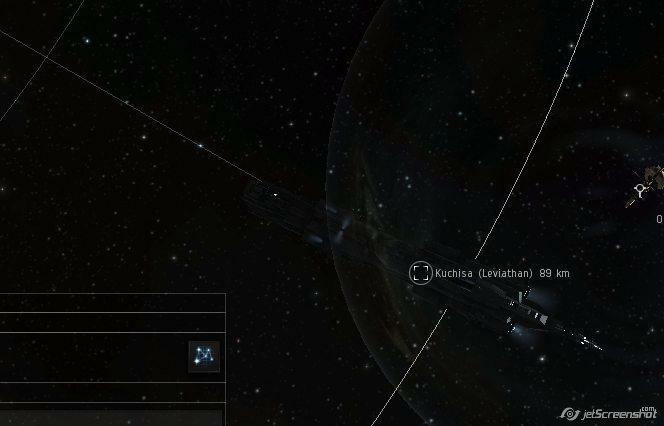 In January 2013 a Leviathan belonging to Kuchisa, an alt of Gorski Car at the time, was destroyed, again by Shadow Cartel. As you can see from the killmail, W0wbagger is present and correct in his bumping 100mn Tornado. This picture of the Leviathan show it hanging out of the POS shield, just like the Erebus of Ved Speed. There is also a video of the kill which can be found here. Back in January of 2013, no shouts of ‘exploit’ were heard and CCP took no action against Shadow Cartel nor did they reimburse the Leviathan. Infact the pilot of the Titan, Gorski Car took it in good humour, has a link to the loss in his ingame biography and laughed about it on the forums. EN24 would also like to point out that this is not the only Titan to be reimbursed recently due to what CCP is calling exploits, however this one is a different type of exploit. 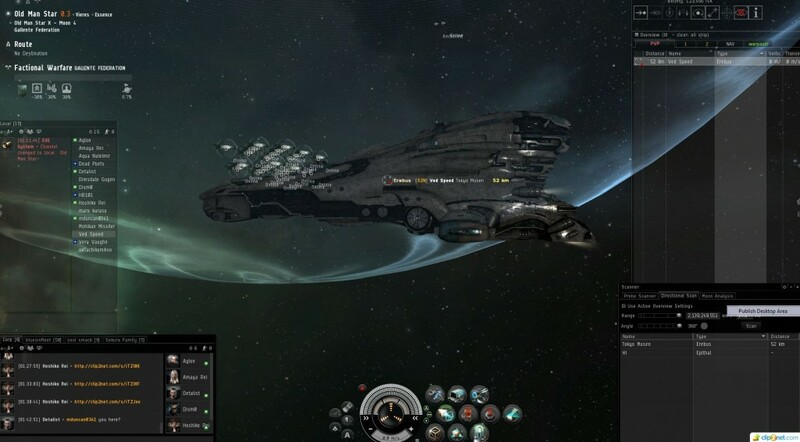 Southern Federation lost an Avatar titan back on the 8th September 2014 to Northern Coalition who used an exploit known as cyno bumping, where a cyno is lit against the POS shield and a number of capitals jump in. Some of these spawn within the POS shields and get ejected out, with the hope of catching the ‘safe’ Titan as they do so and bumping it outside of the shield for the fleet to kill. This has been seen as an exploit for a while now and CCP are taking steps in Oceanus to stop this happening by inserting a 25km ‘No Cyno’ zone around POS shields. After a few weeks of back and forth petitioning, a public statement announced in our SOTC, and escalating from GM to GM, I am extremely pleased that CCP not only recognized the fact that the titan bowling exploit exists and have attempted to make a quick fix for it, but they have also met our demands and replaced Graham Jackson’s avatar. Stainwagon will be logging our titans back in now. I did see screenshots of him (Ved Speed) outside (the POS) and looking at how the Titan is positioned in the picture…those Tornados can very easily go right along the line of the POS and 100mn Tornados especially would find it possible to bump that Titan out of the POS, but I wouldn’t put all my money on it unless I saw a video or something. Being permabanned is a bit harsh I guess, but in the end, it really depends how the titan was bumped. If one of those nados got a good bump by bowling into the POS shield then, maybe…. but CCP shouldn’t blame or punish players for poor game design like that and, as far as i’m aware, Travis from NC. hasn’t been permabanned. The tactic they (NC.) employed relied 100% on the exploit to kill the our Titan, the Soul Taker/ Shadow Cartel kill, could’ve been achieved just through good piloting. In conclusion CCP has banned a Soul Taker pilot, Aglon, for bumping a Titan out of a POS which it was clearly haning out of, just like the Leviathan caught back in January 2013 by Shadow Cartel. In 2013 there was no suggestion of an exploit even though the exact same strategy was used, it was put down to a badly parked Titan. NC. used a procedure just days after the Soul Taker/ Shadow Cartel kill which is a known and well documented exploit known as ‘Cyno Bumping’ however their FC is still active and no action was taken against them, though the Southern Federation Titan was reimbursed. The owner of the Titan, while happy to have is Titan back was shocked that CCP had seen fit to permanently ban a pilot over it and has offered his support in getting him unbanned. Aglon received a response from CCP last night after petitioning his ban. The reply stated that, because he did not enter the POS password the ban would be stand. Why the ban for this single pilot stands and members of NC. using the cyno bumping exploit were not punished will be a question that CCP must answer, and answer quickly. CCP has once again showed their inconsistency when dealing with Titans and Exploits. Hiya, I’m really glad I have found this info. Today bloggers publish only about gossip and internet stuff and this is really frustrating. A good site with interesting content, this is what I need. Thank you for making this website, and I’ll be visiting again. Do you do newsletters by email?